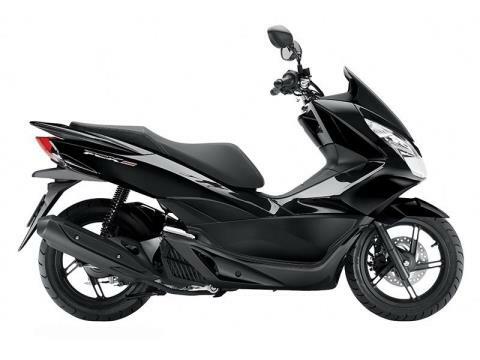 The PCX150 Integral 12-volt adaptor has a convenient charging point for personal electronics. 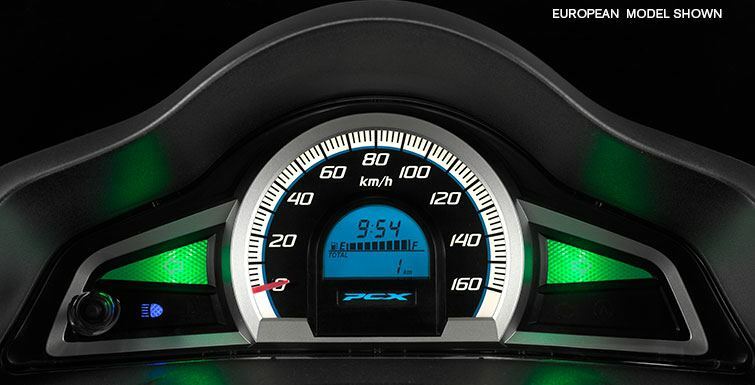 One of the first things you’ll notice about the new 2015 PCX150 is its dual LED headlights. In addition to being a big element in the PCX150’s bold new style, the dual headlights provide ample lighting and aid visibility. 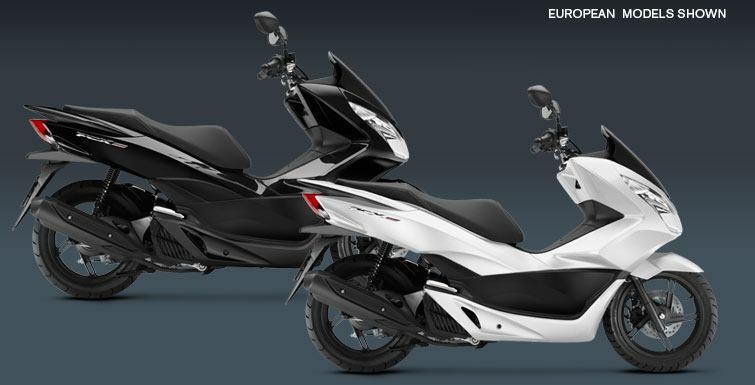 A glance will tell you that the 2015 PCX150 is a new machine. 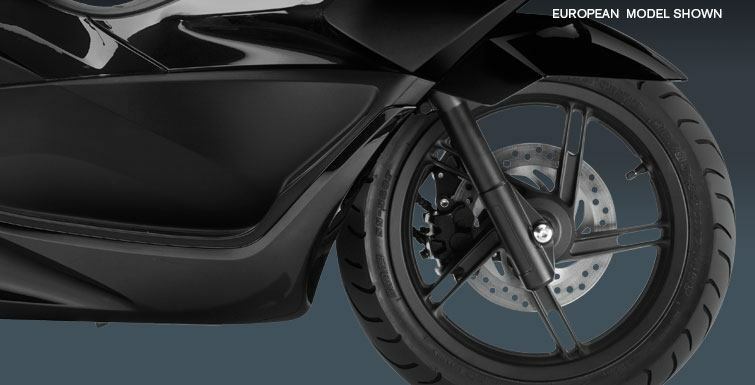 Look at the way that new bodywork flows together, and check out the color options. The PCX150 already offers good fuel efficiency. 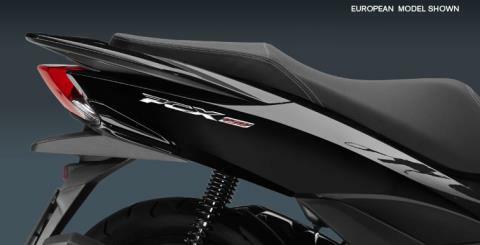 But this year we’ve given it a new, bigger fuel tank, and that means you can go even longer and ride even further between fill-ups.